A better than expected US employment report fuelled renewed speculation that the Fed could hike interest rates sooner than anticipated. Consequently, we saw a rally in the dollar that also hurt the shared currency, especially once ECB President Mario Draghi reiterated his plans to keep rates low to revive economic growth. 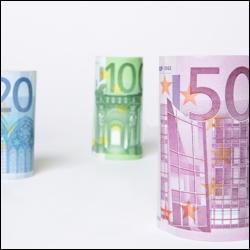 At the ECB policy meeting, the main refinancing rate was left unchanged at 0.15%, with the EUR/USD pair dropping 47 points to $1.3610. Forex markets don't expect the European Central Bank to add any further stimulus at its meeting later today, with the bank likely to take a break after unveiling its plan to boost growth on 5 June. In reaction, the shared currency has already started to give back some of its recent gains against the dollar, yesterday losing another 20 points to close at $1.3659. Continued signs of economic slowdown in France combined with poor Eurozone manufacturing numbers to trigger fresh concerns about the region's fragile recovery. That would normally send the shared currency lower but the dollar had already been hit by the Fed's comments from last week, meaning that the EUR/USD forex pair finished rather flat around $1.36. Consumer confidence in the Eurozone unexpectedly slumped in June, showing that the region faces ongoing challenges and that any recovery will continue to be bumpy. So, despite the earlier Fed announcements, which by and large hurt the dollar, investors took a second look at the EUR/USD pair and pushed it 10 points lower to $1.3597.